The “hook” on all these articles was that I’d done most of the work myself (with a dear friend) and spent less than \$500, excluding appliances which were given to me in trade. 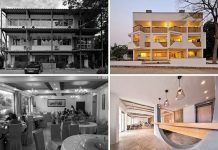 If you’ve been reading for a while, you’ll undoubtedly remember this project which I detailed extensively. Now, the thing is, design is subjective. Tastes vary and what I like isn’t what you will like. But just because I don’t love orange doesn’t mean it’s wrong, or “vomitous”. I’d happily use it in a client project if that’s what they wanted. 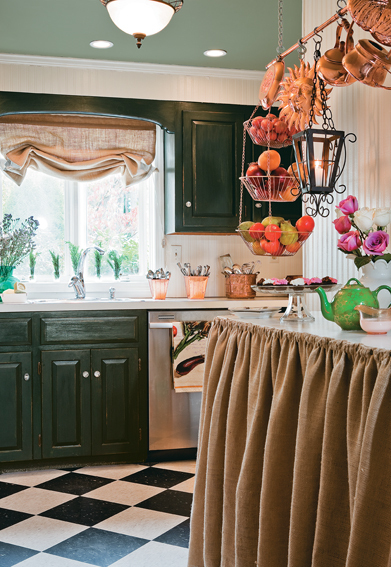 My little kitchen makeover was not for everyone – of course. Decisions were made based on space available, my skills at remaking things, and a very strict budget. This, of course, is true of any design project. Budget, the functional needs and tastes of the client, the space and more all play a part in the final outcome. And a single photo doesn’t usually capture all this “back story”. Yet the comments can be overwhelmingly negative. 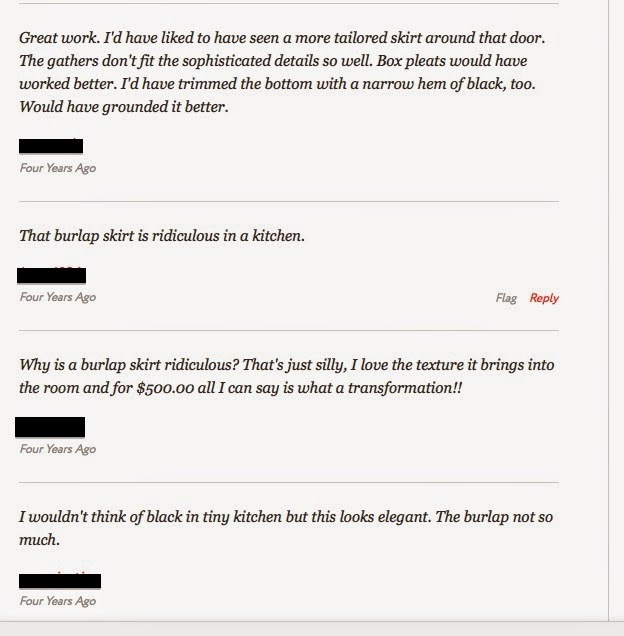 When the now defunct Shelterpop ran the story of my kitchen, it resulted in many, many comments and most were negative. A large majority thought the before was better (seriously?). 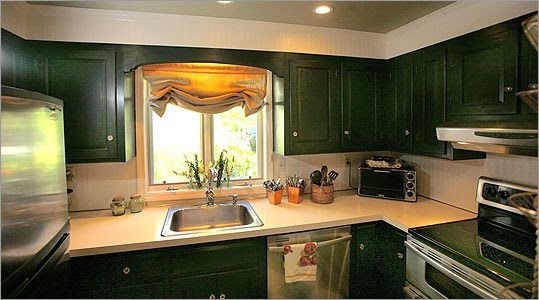 Several hated the window treatment, someone suggested it looked like a garbage bag, many hated the counter skirt. I was even taken to task for adding storage under the new counter because it meant I had too much stuff. Several people we offended that I received the appliances in trade and refused to believe this was possible – therefor it wasn’t really a \$500 makeover. Of course, “\$500 Makeover!” made for a good headline and certainly, the appliances added a few thousand. But even with the old appliances in place, the change would have been substantial. 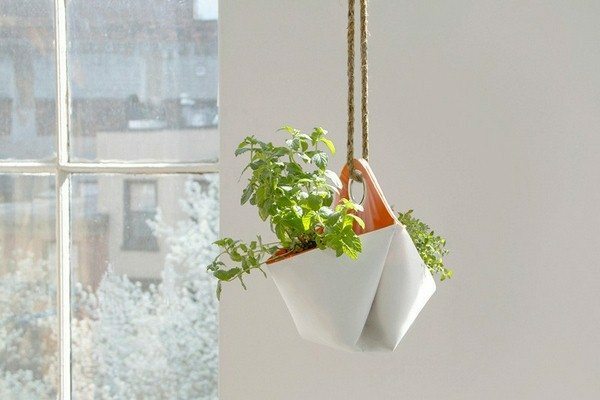 After Shelterpop ran their article, Apartment Therapy picked it up and posted a few photos. I will say, their comments were generally much better and more constructive. The second comment is, as they say, ridiculous. Tell us why it was ridiculous! Was it the burlap? That it was a skirt at all? 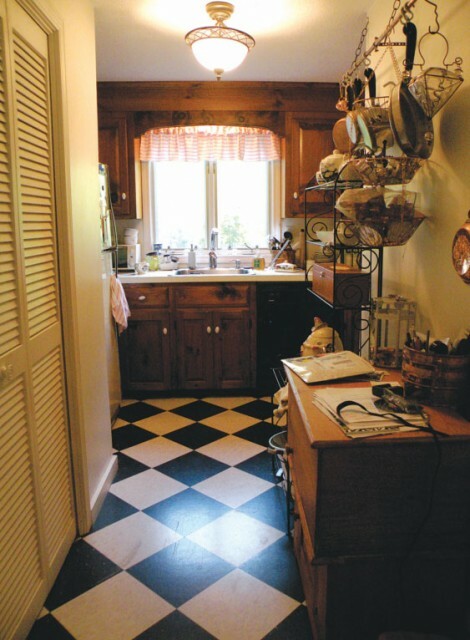 Of course, I would have loved to install a nicer counter with cabinets below. But not for less than \$500. Instead, it was an old door mounted on a frame and attached to the wall with plastic shelving below, and then covered up with the skirt. It was all about function. But, rather than just saying “ridiculous” (I guess it’s better than “vomit”) tell us what would have improved it – like the first commenter did. Obviously, comment three came to my defense. And comment four managed to do both a compliment (always should be first) and then a criticism. And that was fine. 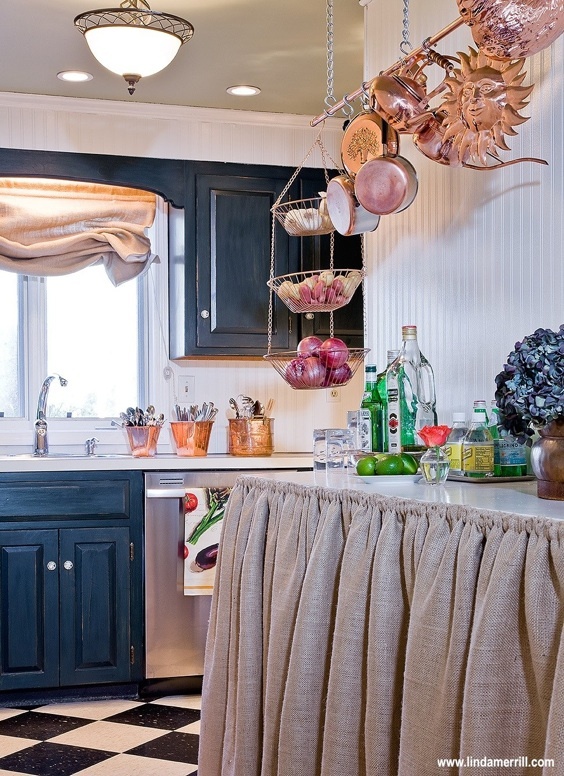 They were right – burlap isn’t exactly elegant. But it is cheap and it was trendy a few years ago when I did this. ed left to right and the clients wanted to be able to sleep with the window open at times, yet still be covered. You can’t do that if the drapes are split in the middle. The 10′ wide window required a lot of fabric and the drapery had blackout lining. Needless to say, the stack back on the right was very wide and in order to be able to fully open the drapes off the windows to showcase the view, they had to be hung as wide as they were. All this is to say that there is usually more to the story than meets the eye in a photo. 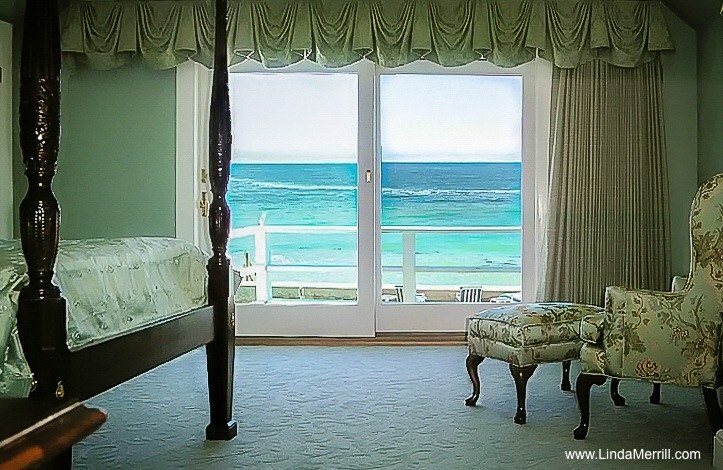 In this case, the client, a realtor, was selling her home and wanted to play up the ocean view. We redid the entire master suite with this in mind. The house sold in a bidding war the first weekend it was on the market for well over the asking price. She loved it, it served its purpose; to me, that’s a successful design.